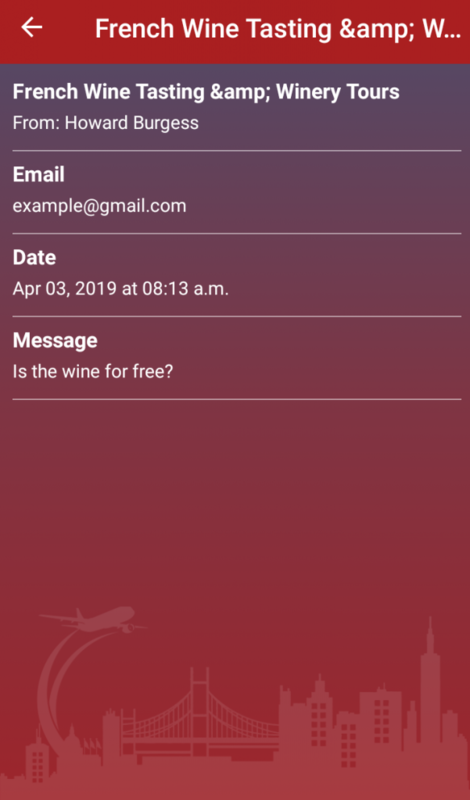 2.How to setup the site to use the mobile app? 3.How to use the mobile app? 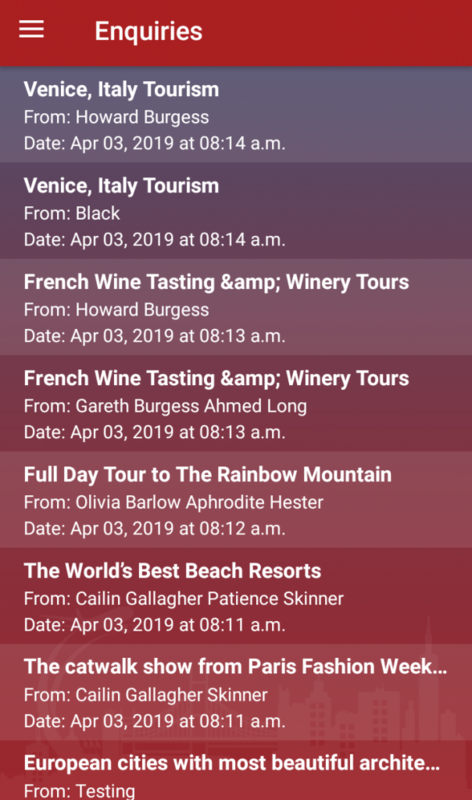 As our plan to constantly adding a new feature in WP Travel, we have launched an Android app in our first phase. 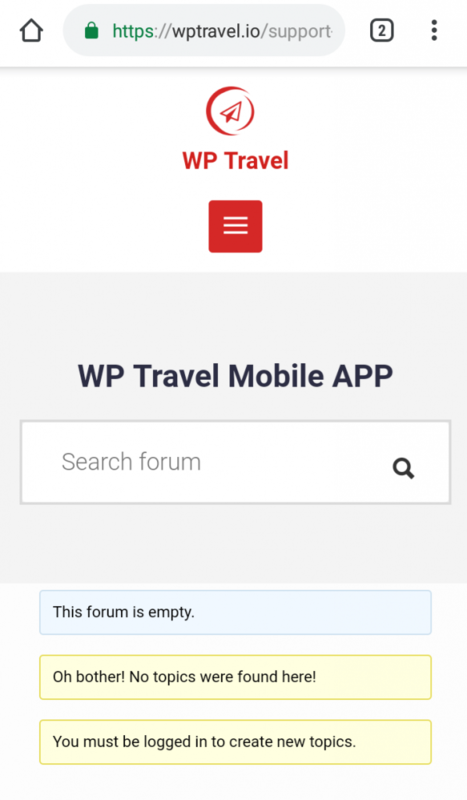 You can download WP Travel android app from Google Play Store. 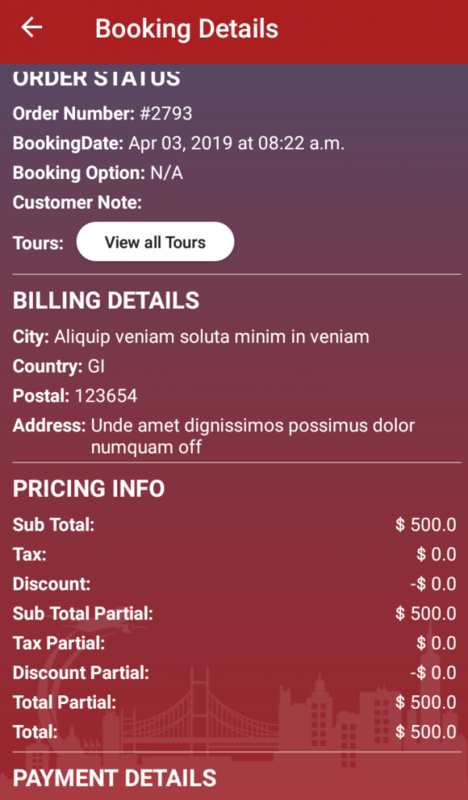 WP Travel Android Mobile App is a mobile application design for the site owner which allows them to view the Booking and Inquiries. The very first step would be setting up your site to use the mobile app. To know how you can set the site for the mobile app please refer to below description. Setting the site to use the mobile app is quite easy and can be completed within few minutes. Please follow below steps. Make sure your travel website ( for e.g. http://examplesite.com) is live and trips are managed from our WP Travel plugin. If you’ve not yet installed, you can start by downloading it now. After your WordPress site with WP Travel plugin is ready, follow the app installation steps as given below. There are mainly two ways of installing the plugin. After the activating the plugin, you need to define the constant. Just replace the key in place of “your-top-secret-key” from above code snippet. For example, select any of the key as shown in the screenshot and add in the code snippet. The final step is to download the zip file “wp-travel-rest-api” from the link given below and activate in your site. Finally you are ready to use your app. After activating the required app, you are good to go. 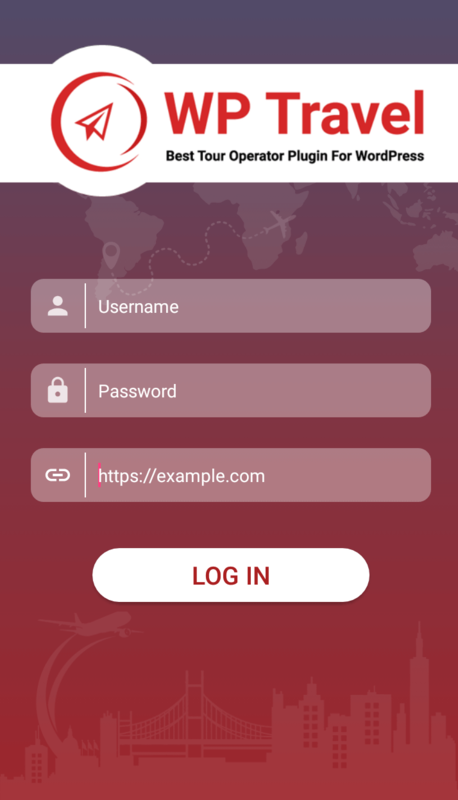 First page you encounter after you set up the app is the login page. This is the very first page that will encounter after you click on the icon to open the app. Username: This fields allows you to add the username. The username that you need to enter is from your site set up. Password: This fields allows to enter the password. The password that you need to enter is from your site set up. You can either enter “https” or “http”. Click on the login button and enter the app. As soon as you enter the app you will reach the dashboard. 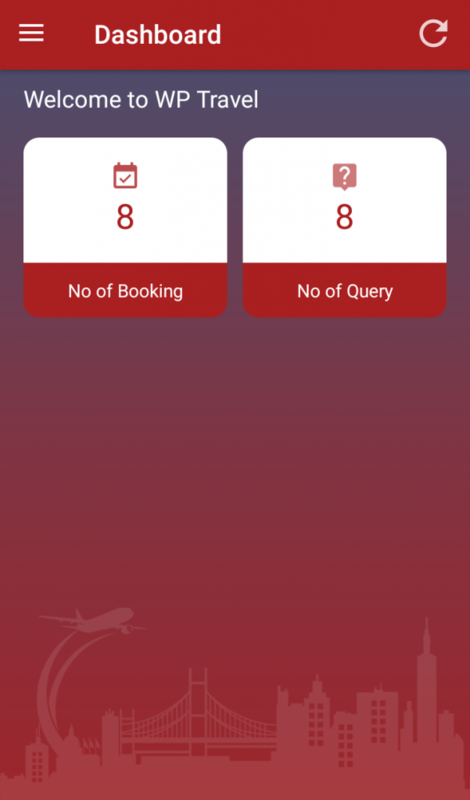 Dashboard displays the total no of booking and inquiries made by the customer. 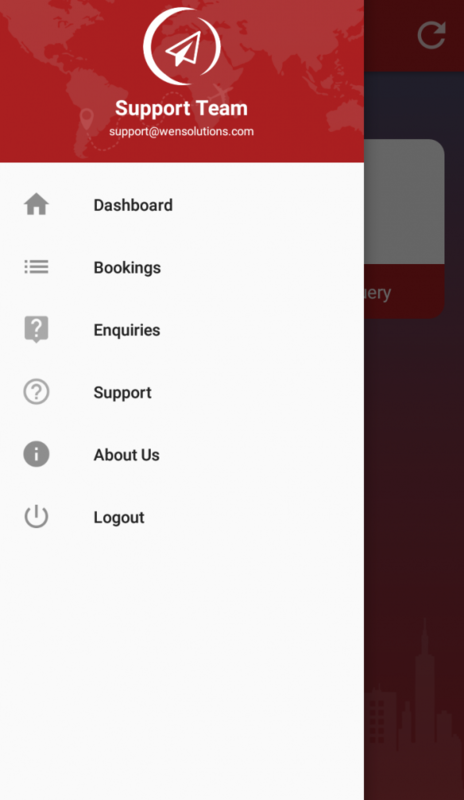 This menu link will directs you to the dashboard that displays the no of booking and the enquiries. This menu link will directs you to the list of booking that is made by the customers. 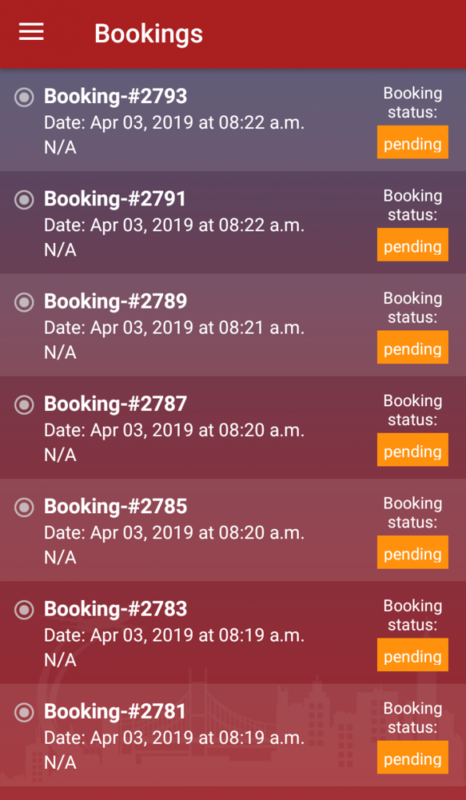 You can view the detail of the booking by clicking on the list. This menu link will directs you to the list of Enquiries made by the customers. You can view the detail of the enquiry by clicking on the list. If you encounter any problem while using the app then this menu item directs you to the official support forum of the app.